It was no less than a carnival, a memorable day to cherish for all the iPhone lovers and enthusiasts worldwide. The much waited for the date; the September 12 arrived in a grand style and as expected Apple made the formal announcements for releasing a set of three new highly advanced iPhones and an Apple Smartwatch. The event kicked off at Steve Jobs Theatre in Cupertino, California. The previous year, we had seen the unveiling of iPhone X, iPhone 8 and iPhone 8 Plus. 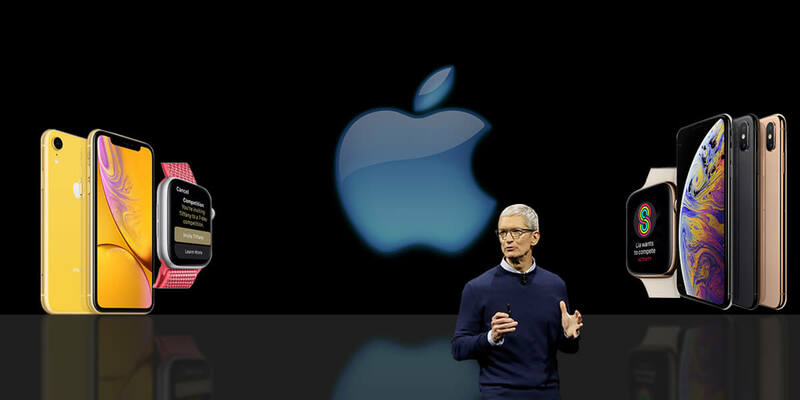 So, this year too when Apple CEO Tim Cook took to the center stage, all speculations and dilemma with respect to the announcement of the new series of gadgets ended with a full stop. Now that this great news is officially confirmed, it is pleasure to inform that Apple is all set to pull the curtains off on iPhone XS, iPhone XR and iPhone XS Max along with Apple Watch Series 4. So, without wasting any more time, let’s have a brief discussion on all the gadgets that Apple has announced yesterday. Frankly speaking, the iPhone XS resembles similar to that of iPhone X launched the year. However, Apple has made some very smart modifications. The screen may seem smaller as it is about 5.8 inches with an OLED display. However, it is an all-screen smartphone with no signs of any bezel. Now if we talk about the iPhone XS Max, then the size of the screen increases to 6.5 with an OLED display. Apart from the larger screen size, there is no other major visible difference between the two newly introduced iPhones. 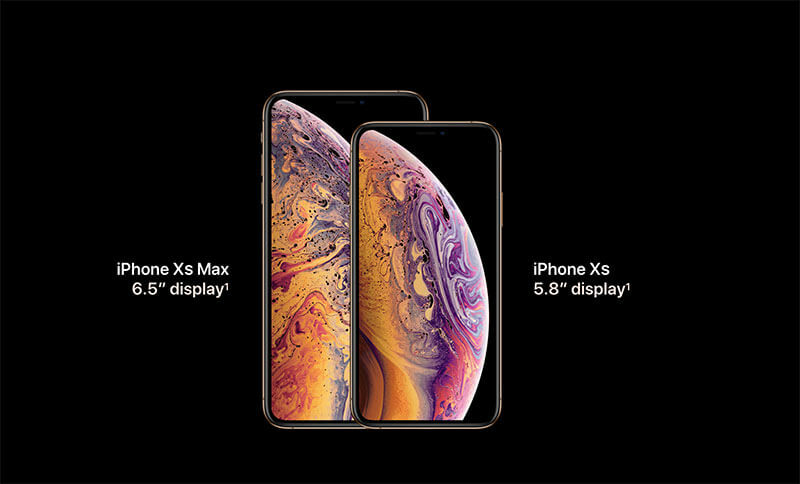 It is pleasure to point that both XS and XS Max have the advanced feature known as Super Retina Resolution Display, which is added to protect your delicate eyes and also adds the advantage of HDR Dolby Vision. It is a 120 Hz refresh rate that was introduced the previous year. According to the Company, both gadgets have tough durable glasses and the water resistance capacity is much improved than the earlier versions. In fact, to test the water-proof resistance power of the iPhones, Apple dipped it deep inside a swimming pool and found great satisfactory results that they survived into two meters deep water for almost half an hour. Wow! Just amazing, isn’t? If we come to other additional details then both the phones use A12 Bionic chip and comprise of 6-core CPU and a 4-core GPU. It makes them more efficient and powerful in comparison to the iPhone X. The A12 Bionic chip comprises of a 7 nanometer chip and the power to process five trillion operations in a second. It must be noted that Apple’s new twins XS and XS Max are initially the foremost iPhones that would readily support the dual SIM that includes a physical SIM card and the other is Apple’s own eSIM. However, to woo its Chinese customers, the Company has decided to build a dual SIM phone containing two physical SIM. The camera section is full of wow moments. They have an advanced Face ID feature alongside dual lens camera. The lens is pretty much smarter with f1.8 12MP wide-angle and an f2.4 12MP telephoto. For those who have a knack of taking selfies, Apple has provided a 7MP front-facing camera that can record 1080 videos in portrait mode as well. With the help of A12 Bionic chip also known as SmartHDR; you can get HDR photos at a much faster pace. The capacity of the video recording has also been enhanced with a much wider option for video specs. The phone storage is as large as 512 GB, which means you can store as many pictures, videos and other documents without any strain for clearing up the memory to free the space. However, good news waiting for you is that both the iPhones have much-improved GPU that deals with Augmented Reality (AR) facility in a better way. It also has a customized ARKit 2, which would offer improved User Experience when playing games or using Animoji. It continues to offer the benefit of wireless charging, the one that was introduced in iPhone X. Now, let’s come to the price. As indicated a few days ago the price of iPhone XS and XS Max is certainly higher than iPhone X. If you want to become the owner of the iPhone XS, you would have to pay around $999 (64 GB) while the XS Max would cost a little more about $1099 (64GB). The advance booking of both the iPhones would start by the end of this week and as such, it would be available in three colors; gold, space gold, and silver. With iPhone XS and iPhone XS Max, Apple is ready to showcase the path for the futuristic technology, but precisely speaking the duo is a bit pricey and wouldn’t fit everyone’s budget estimate. However, to combat this inflation and preferably satisfy the needs of customers, the Company announced that it would soon roll out with a new model known as iPhone XR. The screen size is suitably fit with 6.1 inches. 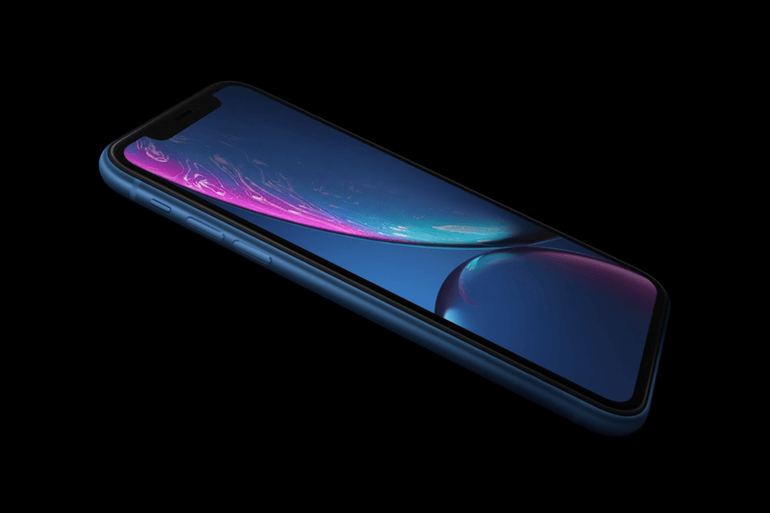 One of the significant features that distinguish iPhone XR with the other two variants is that it has an all-new Liquid Retina Display or the LCD. Moreover, the battery life of the new iPhone XR has become more efficient and powerful and it can last up to one and half hours more in comparison to iPhone 8 Plus. A lot of bells and whistles have also been included in the XR model. This variant uses the similar processor as iPhone XS and XS Max with the inclusion of FaceID and TrueDepth Camera. It employs a single rear camera The A12 Bionic chip is also available here but it is not as powerful as the other two models XS and XS Max. However, it is better than iPhone X. Apple has removed the home button. The sides are built of aluminum instead of stainless steel. The iPhone XR is priced at $799 for the 64 GB variant and $899 for the 256 GB model. The pre-booking of the phone would commence in a month’s time i.e. on October 19, and it shall be available in the stores from October 26. It would readily run on iOS 12. As far as the color combinations are concerned, you get six different choices here including white, black, red, yellow, coral and blue. Don’t get misinterpreted and take it for granted that the announcement of the new advanced iPhone models has lowered Apple’s excitement of informing about the next-gen Smartwatch better known as Apple Watch Series 4. 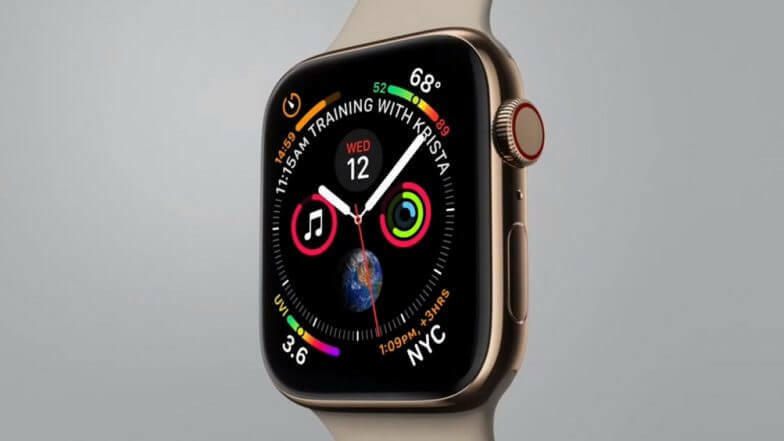 The screen size or the display of the Apple watch enlarges and that the bezel becomes smaller; offering about 15% more screen for displaying the fitness data and other vital health parameters. In fact, the series 4 has introduced two new sizes 40 mm and 44 mm as compared to the previous versions 38mm and 42 mm. The display size is expected to be either 1.57 inches or 1.78 inches. The size of the microphone and the speaker has also been increased and it is now twice in comparison to the previous model. What’s more interesting to note is that the analog watch has a total of eight complications on the face. You can find them within the hands and outside the clock numbers. Even the buttons have become much stronger as there will be no to and fro movement but sense the touch or tap of finger. The Siri has been updated that would help a great deal in your day-to-day workouts. It would have an automatic detection, sending the notification on beginning the workout. In order to offer better health prospects, Apple has added a small electrocardiograph (ECG) for monitoring the condition of your heartbeat. In addition, it also provides the facility for sleep and sports tracking as well. The good news is that it has already got an approval from the FDA (Food and Drug Administration). The Apple Watch Series 4 is available in two variants; the GPS model and the Cellular model. The starting selling price of GPS version is around $399, while the cellular model costs around $499. It’s interesting to note that Apple has dropped down the price of the Series 3 version and now they are priced at $279.